A total of sixty countries will gather for a two-day NATO summit in Chicago, Ill, this weekend to, among other things, hammer out a peace and security agreement for Afghanistan, after more than a decade of war in the South Asian country. Western and foreign nations that have spent billions of dollars and spilled the blood of its soldiers in Afghanistan have grown weary of the operation and seek to withdraw gradually, while still maintaining some kind of post-war security presence. “For the United States, there is no exaggerating the importance of this Alliance [NATO] to our national security,” President Barack Obama said in a statement ahead of the summit. However, as cash-strapped European nations face declining financial wherewithal to fund a war in a distant land, they may ask the U.S. to assume a greater financial burden in Afghanistan and speed up the process of withdrawing their respective troops. For example, already, the new President of France Francois Hollande has proposed the withdrawal of all of his country’s forces from Afghanistan by the end of this year (one year ahead of schedule). Britain‘s Prime Minister David Cameron, among others, has urged Hollande to re-think that strategy, citing it would be impossible logistically and would weaken security in a country where the Taliban and other militants are determined to bring down the western-backed government of Hamid Karzai. The U.S. plans to withdraw most of its personnel from Afghanistan by 2014, but maintain advisers beyond that date. There are currently about 130,000 foreign troops in the country, with Americans accounting for about 90,000 of them. The U.S., as the principal component of the NATO presence in Afghanistan, will also have to discuss what the country will look like after most foreign troops have permanently departed. To address this scenario, Obama’s government has been training hundreds of thousands of Afghan police and military forces in order to ensure a peaceful transition. Western allies will also have to take on the thorny subject of who would pay for what with respect to what remains a complex strategic puzzle in Afghanistan. CNN reported that the annual costs of maintaining a peaceful Afghanistan could amount to a minimum of $4-billion, with the U.S. assuming between one-quarter and one-half of that expense. While about two-dozen NATO allies have promised to donate into that till, Washington would like firm financial commitments. A separate issue is Afghanistan’s neighbor, Pakistan. Originally barred from attending the Chicago summit, NATO officials rescinded the ban and invited President Asif Ali Zardari to appear. 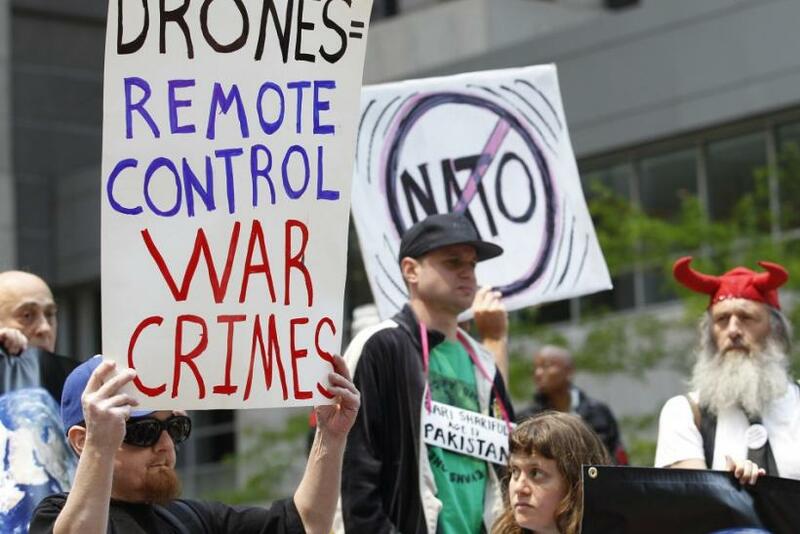 Western leaders will likely pressure Zardari to re-open NATO supply routes that have been cut off since last November after two dozen Pakistani soldiers were accidentally killed by drone missiles. Zardari, who faces enormous opposition from his home country’s military and intelligence networks, will also have to deal with NATO’s suspicions about the lack of security in the wild borderlands between Pakistan and Afghanistan which has become a haven for militants who have frequently launched attacks on western troops. Aside from Afghanistan, the summit will also tackle Russia’s growing alarm over the west’s plan to construct a missile defense system in Europe as a bulwark against possible Iranian attacks. Moscow vociferously opposes such a program and sees it as a threat to its own missile system and, by extension, its sovereignty. Other major issues to be discussed at the summit will be the quagmire in Syria -- could NATO take a concerted military action against Bashar al-Assad as they did in Libya last year? Notably, Vladimir Putin, the president of Russia and an Assad ally, will not attend the Chicago summit. His second-in-command Prime Minister Dmitry Medvedev will take his place.